Teacher Training Program - With this Training Program, you receive the Ray attunements for your personal benefit plus learn all of the necessary methods so that you can immediately attune your own clients and train/attune your own students. * The sixth Ray...called the Source Ray... focuses on lifting you further into the unfolding global-human ascension process. The first five Lightarian Rays are a series of guided-meditation attunements...each creating a powerful and permanent connection for you with one of the Masters. Each Ray is an "attunement event" that launches extraordinary "energetic processing" within your chakras, subtle bodies and physical body...creating spiritual, mental, emotional and physical transformation in your life. Once this connection is made, the particular Master works with you energetically "in your etheric background" to support an essential aspect of your spiritual self-development. After receiving the Ray attunements, you will accelerate along your spiritual path perhaps more quickly and effectively...and with more grace and joy... than you would naturally be experiencing! Through our channeling experiences over the years, we have learned that the often mysterious process of personal spiritual development can be demystified and simplified down to these five basic aspects...empowerment, clearing, healing, activation and manifestation. Via the Lightarian Rays, each Master focuses on one of these aspects to create an effective, accelerated program of self-development for you. Inspired by Ascension Master Maitreya, the Empowerment Ray is the starting point for the spiritual awakening process and serves as prerequisite for receiving the other Rays. The Empowerment Ray stimulates a dramatic "spiritual wake-up call" of the highest order...triggering waves of energetic acceleration and vibrational change. * Provides you with a "spiritual wake-up call" of the highest order...triggering waves of energetic acceleration and vibrational change. * Supports you in getting clearer about "who you are" and "why you are here" during these exciting times of global-human transformation. * Stimulates your overall sense of personal power and serves as the prerequisite and energetic foundation for the follow-on Rays...which focus on clearing, healing, activation and manifestation. The Empowerment Ray is a unique, energetic attunement created by the energies of Maitreya to trigger and accelerate your overall spiritual process. Receiving the E-Ray creates a unique, permanent relationship between Maitreya and all levels of your energies. An empowering, long-term connection is established between Maitreya and your Soul, Oversoul and Higher Self levels which provides ongoing support for the raising of your vibration and enhancing your spiritual awakening. After receiving the Empowerment Ray attunement, Maitreya begins to interact "in the background" with all levels of your energies to accelerate your spiritual development in a manner most appropriate for you. Aspects of your etheric patterns and chakra codings that have been dormant will be activated. In the broadest possible ways, the long-term energetic effects of the Empowerment Ray will provide you with a richer, fuller sense of Self and a clearer understanding of your purpose for being here at this extraordinary time in Earth's history! Maitreya, along with these Ascended Master energies, is actively supporting the global/human transformation that is taking place on Earth at this time. You could actually consider him the master architect for Gaia's global transformation process...so, here at the Lightarian Institute, we call him the Ascension Master! Created by Ascended Master El Morya, the Clearing Ray launches a gentle, yet effective "etheric deep cleaning"... stripping away all of your adverse soul programming, inappropriate belief structures and undesired mental and emotional patterns. Via a single attunement session, the Clearing Ray launches a unique clearing, releasing and cleansing process that is fully "orchestrated" beyond your conscious awareness by the energies of Ascended Master El Morya...all in conjunction with your Higher Self. Following your Clearing Ray attunement, over an extended period of time, your chakras and subtle bodies will be cleared and opened to anchor in more Light! Within this more open space, an accelerated healing of your etheric fields and physical body can take place. We have learned that there are six basic patterns to this extraordinarily complex structure of adverse energies released over time by the Clearing Ray work. The clearing process stimulated by the Clearing Ray will generally follow the sequence of the six patterns outlined below. However, these various forms of energy may be releasing at different rates, at different times and in any order, depending upon what serves your highest and greatest good at the time. Clearing your adverse soul level programs, their associated belief structures and adverse mental, emotional and physical-etheric energies. Releasing old, limiting fetal energy patterns carried into this lifetime that still remain in your energy fields. Clearing the "etheric blueprint" which stores adverse patterns that create stress, discomfort, debilitation and dis-ease within the physical body. Releasing attachments such as automatic responses, addictive behaviors, adverse etheric energy forms such as links and cords, psychic connections, implants, past life bleed-ins, etc. Opening and enhancing your vibrational connection back to Higher Self and beyond! Lifting the veils that restrict your full, clear view of yourself and your life. Inspired by Ascended Master Sananda, the Activation Ray energetically activates your latent etheric coding and triggers powerful, ongoing spiritual initiations...allowing more of your Higher Self energies to flow into your day-to-day life. * Launches ongoing energetic activations within your chakras and subtle bodies. * Stimulates new spiritual initiations...opening you to powerful structural shifts within your etheric fields. * Prepares you to integrate higher aspects of your divine potential into your day-to-day life. The Lightarian Activation Ray, designed by Ascended Master Sananda, is a simple and effective Attunement that will launch the purification, reorganization and stepping-up of the vibration levels of your chakras and subtle bodies. As a result of the Activation Ray, a unique, permanent relationship is established between you and Sananda, as he steps forward to assist you in very direct, personal ways with the orchestration of this enhanced activation work! Following your attunement for the Activation Ray, Sananda begins to interact "in the background" with all levels of your energies to stimulate and accelerate the energetic activation steps that are most appropriate for you. This activation work takes place deeply within your "inner planes" as shifts and changes are occurring in your personal "energy construct"...all to propel you along your spiritual path through the raising of your personal vibration! Through Sananda's inspiration and guidance, the Activation Ray has been designed to accelerate your entire progression of personal spiritual activations. These energetic activations can be in the form of small, quantum changes in your energy structure to increase your capacity to handle more Light, to bring forward your gifts and talents or for other appropriate transformational purposes. Activations can also be in the form of major initiatory steps which can dramatically alter your energies...creating major shifts in your belief structures, perspectives, perceptions and even your sense of yourself. As an powerful resource for you, Sananda operates "in your personal etheric background", stimulating your inner-planes spiritual development while always guiding and fully coordinating with your Higher Self energies. The Activation Ray Attunement is sourced from a strata of celestial energies known as the level of the Ascended Masters, specifically from an aspect of the Ascended Master Sananda. Along with other Ascended Masters, Sananda has dedicated his efforts to support the global, human transformation process that is taking place on Earth at this time. Sourced by Ascended Master Buddha, the Healing Ray initiates a powerful process of holistic self-healing... returning you to a state of balance and alignment. and dis-ease from your chakras, subtle bodies and ultimately, your physical body. * Launches a complete wholistic healing process for you. * Attunes you to the energies of Ascended Master Buddha for self-compassion and balance, as well as healing support. The Healing Ray is a unique energetic attunement that focuses on creating ongoing healing support from Ascended Master Buddha. Healing effects stimulated by this attunement will be created over the entire spectrum of your energies...from your physical body to the highest levels of your etheric "inner vibrational landscape." There are no specific time benchmarks or time limits for the extraordinary healing that is launched via this work...simply the gentle unfolding of your truly individualized healing process at a pace that will serve highest and greatest purpose for you. Recognizing that each of us is fully responsible for our own healing, we acknowledge that Ascended Master Buddha's energetic support will simply be empowering you in your own self-healing process. As part of the Healing Ray process, a unique, permanent relationship is established between you and Ascended Master Buddha, as he steps forward to assist you in very direct, personal ways with the orchestration of this enhanced healing work. In a sense, he will serve as a healing guide for all levels of your being...all in complete cooperation with your Higher Self. After receiving your attunement, dramatic energetic changes will be taking place for you, depending on your initial physical and subtle body energy patterning and the healing pace being set by your Higher Self. Your etheric and physical energies will begin to experience renewed levels of vitality and vibrancy! Your sense of self-responsibility for your own healing will expand as you more effectively handle any challenging, health-related situations that need attention. As you deal with the task of bringing health-related aspects of your life into balance, you may discover new levels of two important spiritual principles...discipline and surrender...that you may not have encountered before. You may start to open more fully to your higher inner wisdom and expand your self-awareness. The Healing Ray Attunement is sourced from a strata of celestial energies known as the level of Ascended Masters, specifically from an aspect of the Ascended Master Buddha. During Earth and humanity's long history of spiritual evolution, Ascended Master Buddha has often projected his energies into this plane in the form of physically-incarnated masters and avatars in order to assist in the expansion and transformation of human consciousness. He has ongoingly focused on teaching and demonstrating the principles of compassion as applied to many areas of human activity, especially healing and personal ascension for the individual. His incarnational experiences here have prepared him well to serve as a coach and counselor...perhaps call him a spiritual mentor...for those seeking energetic healing support. Please note that Ascended Master Buddha is not to be confused with the historic Buddha. From our perspective, the historic Buddha was a projection of the energies of Ascended Master Buddha, which embodied into a physical incarnation in this plane. Sourced by Ascended Master St. Germain, the Manifestation Ray expands your capacity for manifesting on all levels...opening you to attract spiritual, mental, emotional and physical abundance... all to serve your highest purpose! * Connects you with Ascended Master St. Germain as your "Spiritual Coach and Counselor." * Supports you in manifesting courageous, authentic action...leading to the creation of abundance in spiritual, mental, emotional and physical ways in your life! * Stimulates you to step forward into higher levels of spiritual service in the Light. The Lightarian Manifestation Ray, inspired by Ascended Master St. Germain, focuses on the phase of personal spiritual development called manifestation...by expanding your capacity for manifesting that which will serve your highest and greatest good. What actually manifests progressively after receiving the Manifestation Ray will vary from individual to individual. For some, it could be about initially creating further aspects of spiritual processing such as any clearing or healing that may be needed. For others, it could be about eventually opening to greater abundance in direct physical terms such as relationships, career success and financial security. Some may experience a heightening of their latent spiritual gifts and talents in their lives. For you, it could be about ultimately manifesting all of these! Through this unique attunement, a special etheric linkage is created between you and Ascended Master St. Germain...all to support your manifestation process...all to serve highest purpose for you. You may discover yourself operating more courageously and authentically and find yourself on a truly accelerated path toward manifesting abundance in all areas of your experience. Through courageous and authentic action, fears are overcome and the open space for manifesting is created. From a spiritual perspective, this attunement is designed to stimulate the manifesting of your latent gifts and talents to enable you to effectively move toward an expanded level of service in the Light...to be able to step into your "future role." Many of us are already moving into our "future roles" as teachers, healers, communicators and visionaries for these times of extraordinary planetary and human transformation. The Manifestation Ray will accelerate this process and propel you toward greater spiritual service during the coming times. The Manifestation Ray Attunement is sourced from a strata of celestial energies known as the level of the Ascended Masters, specifically from an aspect of the Ascended Master St. Germain. He has dedicated his untiring efforts to support the global, human ascension process that is taking place on Earth at this time. The Ascended Masters each have a dominant focus or theme for their work here. For St. Germain, the theme is "courage" and his principle focus in working with human consciousness has long been to stimulate courageous, authentic action! Over the eons of time that human consciousness has been infused here, St. Germain has created many incarnational experiences in order to support the lifting of the spiritual vibration of humankind. These experiences have prepared him well to serve as a "coach and counselor"... perhaps call him a spiritual mentor...for those seeking support in the Earth plane for manifesting the Light for highest purpose! All leading to a greater ability for you to manifest a higher level of Light in your day-to-day life! Over time, the background energy work set in motion by these five Ray attunements cumulatively creates an ongoing, long-term program for dramatic change in your life...with the five Masters serving as your spiritual guides...all in complete collaboration with your Higher Self energies. 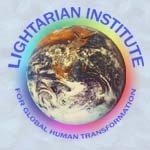 How does the Lightarian Ray Program fit into the overall process of global, human transformation that is taking place at this time? As individuals move along their spiritual paths, the five essential aspects of personal energetic development (as described above) will be taking place. With varying intensity and varying pace, these areas of personal growth are unfolding within all of us. As we experience our learning and growth lessons in life, movement in these fundamental areas occurs quite naturally! However, given that a divine plan for human, global transformation is dramatically impacting on our personal processes, many of us feel that our preparation work must be stimulated and enhanced beyond the natural unfolding that may be taking place. For some of us, there is even a growing sense of urgency to accelerate this process, in order to more quickly and properly prepare for spiritual service during the coming times. For those who find themselves on a "fast track" for spiritual development, their progression of self-empowerment, clearing, healing, activation and manifestation can be enhanced by support from the five Masters via the Lightarian Ray attunements. Beyond the first five Lightarian Rays, the Institute offers an advanced, ascension-focused attunement called the Source Ray...a connection with the energies of our Universal Source. The first five Rays (with their focus on stimulating spiritual processing) serve as an "energetic platform" and prerequisite for the Source Ray, which creates a dramatic leap to a new vibrational connection with even higher levels of divine energies. * Creates an advanced, ascension-focused attunement experience...building on the five spiritual processes of self-empowerment, clearing, healing, activation and manifestation stimulated by the earlier Rays. The Lightarian Source Ray is an advanced, ascension-focused attunement for Lightarian Ray Teachers and Clients who have already received the first five Ray attunements. Because of the advanced nature of this energy connection, it is imperative that recipients of the Source Ray have already been accelerating their personal spiritual development...via the Ray Program...in the five spiritual processes of self-empowerment, clearing, healing, activation and manifestation. With the work of the Lightarian Rays as a "platform", the Source Ray represents a dramatic leap to a new level of vibrational connection with even higher levels of divine energies. The vibrational levels that we call Universal Source consist of highly focused energies of pure thought and intention which produce "all of creation within our physical and non-physical reality." The Source Ray creates a resonant, energetic connection for you with this band of celestial energies...focusing on "lifting you further into the unfolding ascension process" that humans and Gaia are experiencing at this time. It is designed to stimulate and support you on your quest for a more perfected and ascended way of "being and doing" in your day-to-day experience. This attunement connection will allow you to access all twelve of the Divine Virtues embodied by Source in order to fulfill your personal "divine mosaic-pattern of energies" for the coming times. Via this attunement, you lay the foundation for creating a more ascended state of being as you manifest essential aspects of these twelve Divine Virtues in your daily life. The twelve Divine Virtues are the vibrational "building blocks" for human experience within our Universe and all twelve are now available to you via the Source Ray. Via the Ray program you have been indirectly tapping into these Divine Virtues as manifested by the particular Masters associated with each of the Rays, namely Ascension Master Maitreya (with the Virtue of Power) via the Empowerment Ray and the following four Ascended Masters...El Morya (also with the Virtue of Power) via the Clearing Ray, Buddha (with the Virtue of Compassion) via the Healing Ray, Sananda (with Purity) via the Activation Ray and St. Germain (with Courage) via the Manifestation Ray. After receiving your attunement to the Source Ray, your connection into the energies of the Divine Virtues will be expanded and became more direct! You will be directly tapping into all twelve of the Divine Virtues and will also have access to the energies and qualities of the other eight Ascended Masters (those Masters not associated with the Lightarian Ray attunements). "In general terms, the Source Ray will propel you into a unique, highly advanced phase of spiritual development, focusing primarily on the acceleration of your personal ascension process. There is no suggested "waiting time" before taking the Source Ray after you have received all of the other Ray attunements. So, if you follow along with the Source Ray soon after completing the first five Rays, you will certainly continue to feel the effects of the integration of your earlier Ray attunements as you begin to receive the powerful benefits of the Source Ray."